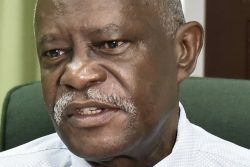 The University of Guyana has received a cheque from the Baveghems family to sustain the Eusi Kwayana award for the next three years. According to a UG press release, given recent changes to the structure of the Education programme at UG, the family has approved amendments to the award. It will now be offered annually to two first year Bachelor of Education students who are proceeding to the second year of the programme, having completed year one in the normal period of time with a GPA of not less than 3.0 with no failed grades. Subject to the approval of UG’s Scholarships and Awards Committee, these changes will be effected from November, 2016, the release stated. From left are Rebecca Miskiri-Antoine, Delores Collins and Joycelyn Thompson, members of the Baveghems family. Also in picture is Daniella King (right), Assistant Registrar-Students’ Welfare, UG. The award was previously given to a second year student who completed Certification in Education in the normal period of time with a GPA of not less than 3.0 with no failed grade. The family explained that the intention was not just to reward good performance but also to offer an incentive to teachers to proceed to the Bachelor of Education programme on completion of the Certificate in Education. 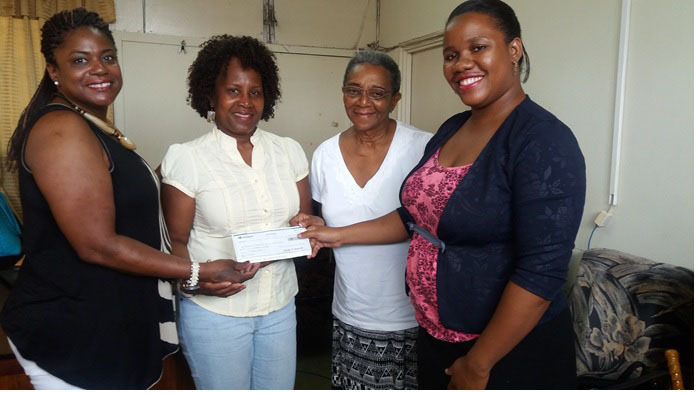 According to the release, the cheque, which was handed over by Joycelyn Thompson, Delores Collins and Rebecca Miskiri-Antoine, was received on the University of Guyana’s behalf by Daniella King, Assistant Registrar – Students’ Welfare, who thanked the family for their continued support and interest in the development of the educator who are expected to mould the minds of future generations of Guyanese. Kwayana, 91, is a longstanding educator, politician and human rights activist.